A month after sneaking on to Freesat's channel list, the free-to-air satellite service has officially announced the arrival of Motorsport.tv. The channel, formerly known as Motors TV UK, has been live on Freesat channel 253 since 7th December - just over a week after the channel dropped its encryption on satellite. A press release issued today finally confirms the launch of the channel, which offers the best in motoring entertainment, 24 hours a day, seven days a week. Shows range from live coverage of the 2018/19 FIA World Endurance Championship, to daily highlights of the FIA World Rally Championship. 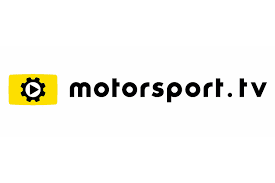 According to Freesat, the launch of Motorsport.tv "underlines Freesat’s focus on bringing customers as much free sporting content as possible, with the recent launch of the Freesports channel on the platform also part of this move towards improved sports programming." Glad this has hit Freesat's EPG and they've announced it, its a solid addition to the lineup! Also, delighted to see comments are back on a516digital.com. Its been missed! There's got to be more to this delayed announcement than meets the eye. Freesat isn't going to forget to trumpet a new channel, are they? Freesat is Crap nobody has it.Freeview HD FTW.